Raspberry Pi challenge to produce the next Norton? Security company Sophos is challenging the UK's based software developers to create an entirely new type of cyber security device using the Raspberry Pi. The winner's device will be developed and used by Sophos in the futture. Sophos issued the call because it wants to address what it calls a "lack of skilled workers" in the UK cyber security industry, which is says in hampering the UK's fight against cyber crime. 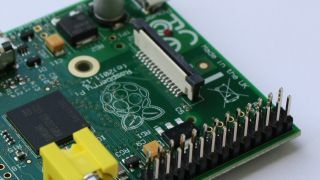 "The creative, technology loving community that has sprung up around the success of Raspberry Pi involves exactly the sort of people that would be perfect for a career in cyber security," said Sophos' director of tech strategy James Lyne. "The Pi technology is so versatile, and we are all excited to see what these guys can come up with." The challenge comes after a one day hackathon, organised by Sophos, where 25 "cyber defenders" were invited to its HQ in Abingdon and asked to break into home wireless networks, small businesses, multi-corporations and even government departments. The hackers had to follow a set of clues to find and exploit common flaws in networked devices such as tablets and smartphones. The six winners progressed to the Cyber Security Challenge Masterclass in 2014.